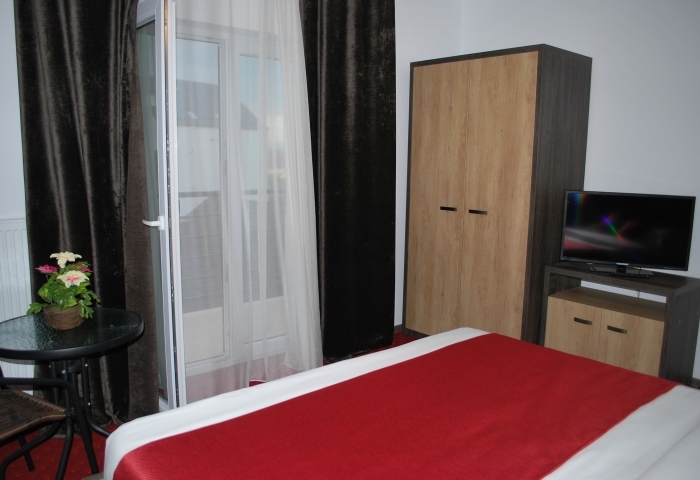 The standard double room has an area of 16 square meters, a double bed, private bathroom (tub or shower) and balcony. Other features: LED TV , free wireless Internet, safe, hair dryer, iron, toiletries, carpeted floor, wardrobe, wake-up service, disposable slippers, towels, smoke detectors and fire prevention systems. Smoking is only allowed on the balcony because there are smoke detectors inside the hostel. 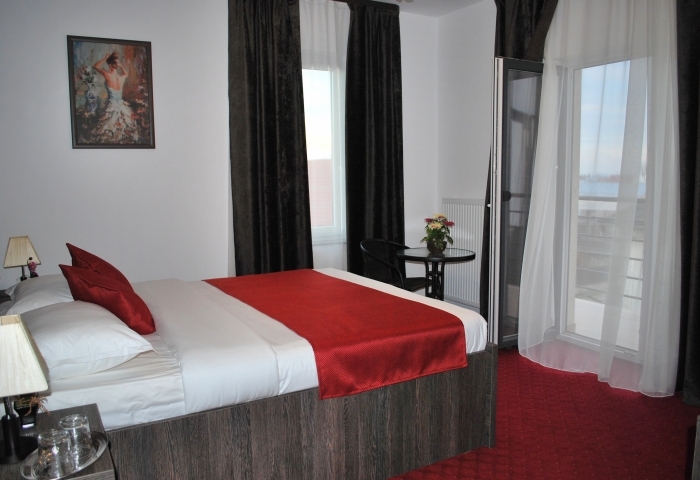 The price of a standard double room is 125 Lei/night. Payment can be made in national currency LEI or European currency EURO. This price does not include breakfast which is worth 15 Lei or 3.5 Euro. Discounts may apply for groups booking more than 5 rooms.